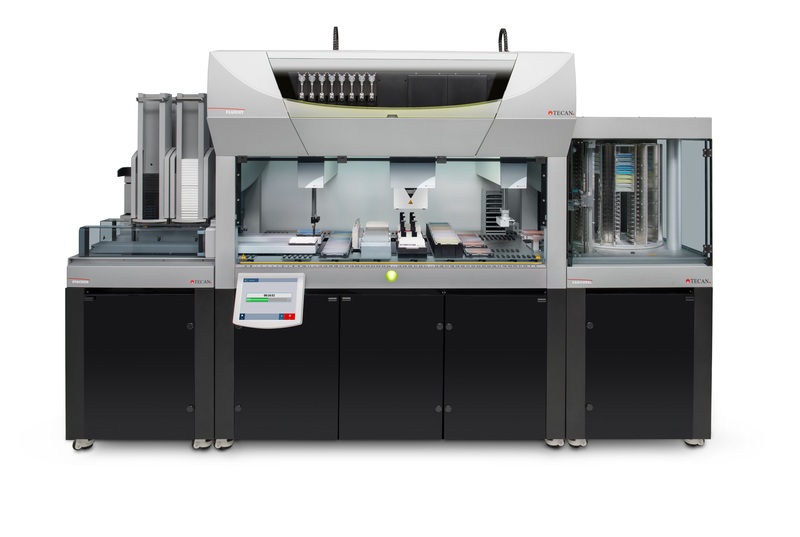 Tecan has launched the next wave of innovation for its Fluent laboratory automation solution, introducing a number of new hardware and software options that enable a much wider range of applications. With the addition of a new air displacement Flexible Channel Arm, Fluent now offers the choice between two pipetting technologies for high-definition liquid handling, excellent precision and greater accuracy. These updates build on the success of the Fluent cell-based assay and compound management workstations, further simplifying key processes and increasing productivity in the lab, as well as being ideally suited to high-throughput genomics applications. The workstation’s FluentControl software has been further enhanced with the addition of an Application Toolkit providing standard commands for common tasks – such as quantification and normalisation workflows – saving application specialists several hours of programming per script. It also provides a collection of commands allowing programmers to create ‘wizard-like’ interfaces, with special commands for embedding rich user prompts, further simplifying everyday operation of the workstation. A new Active Stop and Resume function also allows operators to access and interact with the workdeck during a run, simply by opening the door. To restart, the user just closes the door and re-initiates the program, which will pick up where it left off. “We are particularly proud of how the Fluent platform has been received by early users, with some customers already coming back to order additional systems. This new wave of innovation takes our central concepts of user-friendliness and ease of use to the next level for laboratory automation,” commented Dr Stefan Traeger, executive VP and head of the Tecan Life Sciences Business.